As I was commuting my 90 miles to our nation’s capital this morning listening to my usual NPR, there was a piece on the enduring appeal of Gene Kelly, noting it was the 100th Anniversary of his birth. I love musicals! My parents always had show tunes playing on the stereo. Whenever a musical was on television, we watched. The music was magical. The pure escapism appealed on so many levels. And the dancing! Such joy and celebration of life in the dancing! No dancer made me smile like Gene Kelly. Such an engaging personality that always felt approachable – unlike Fred Astaire who seemed of another world. 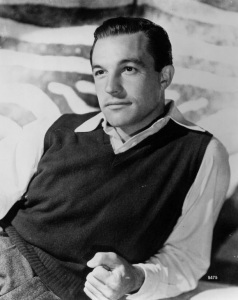 Gene Kelly had a smile that lit up a screen and a voice that sounded like velvet brushed backwards. He portrayed an everyman, fit and strong and virile. He made athletic dances seem easy. And his pairings with Cyd Charisse….powerful! While it may be trite to say so, there is no dance on film that can bring a smile to my heart and grin to my face like the classic dance performed in “Singing in the Rain”, that Kelly famously filmed with a 103-degree temperature while he was singing and dancing in the rain. Such an expression of absolute joy! So, I’ll post this celebration of Gene Kelly and go back to watching “Cover Girl”….as my heart melts while he pines for Rita Hayworth! Watermelons Courtesy of a Thieving Raccoon!